You are here: Home / News / OMA Comp and Lenovo are now Business Partners! OMA Comp and Lenovo are now Business Partners! 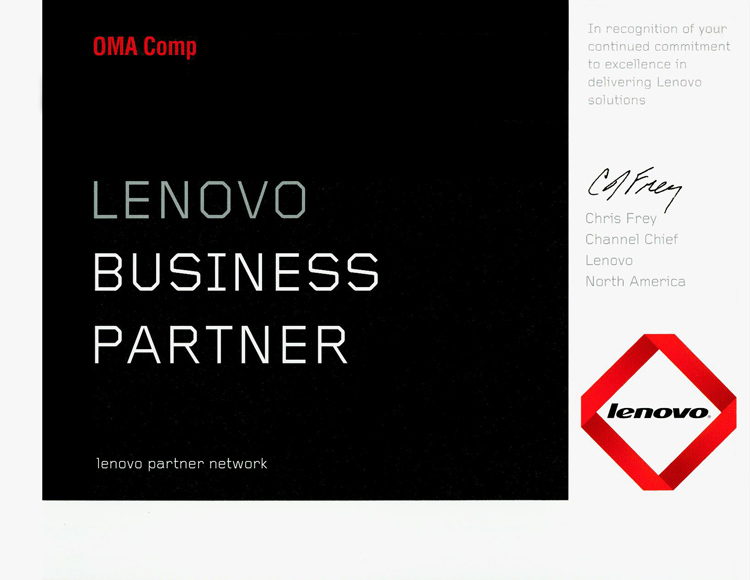 OMA Comp is proud to announce that they’ve recently been recognized by tech giant Lenovo as a Business Partner. “In recognition of your continued commitment to excellence in delivering Lenovo solutions” was written in a notice sent out by North America Channel Chief Chris Frey. Thank you for the kind words Chris, and as long as Lenovo keeps churning out quality computer equipment this partnership will continue indefinitely.